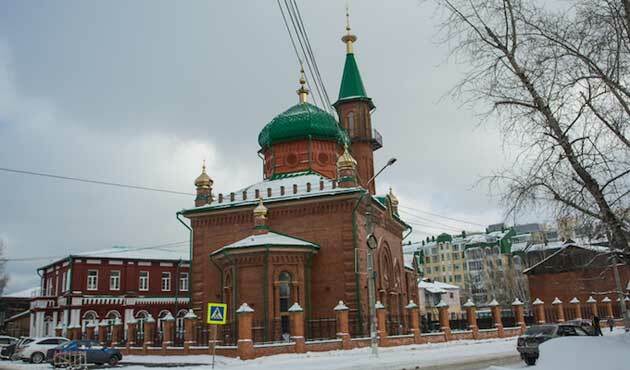 JNN 08 Apr 2015 Berlin : The Red Juma Mosque, located in the Tomsk region of Russia, has opened for worship after a gap of 90 years. The Oldest Pages of Quran are said to be with the German Library . The mosque was first opened in 1901 but was seized and closed down in the 1920’s by the Communist regime. In 2002, restoration works began before opening on Friday in an official ceremony. Tomsk Governor Sergey Jvachkin, Mayor Ivan Kleyin, Chechen Republic Parliament Speaker Dukuvah Adurakhmanov, and Chechen Republic Mufti Salah Haci Meciev were among the dignitaries who attended the ceremony. Representatives of the Islamic community as well as hundreds of Muslims were also present. The guests were greeted at the entrance to the mosque by Russia’s Asia Representative Mufti Seyh Nafigullah Asirov and Tomsk Regional Mufti and Red Juma Mosque Imam Nizomutdin Jumaev. Tomsk Regional Imam Ozotmutdin Umayev opened the ceremony with recitation of few verses from Qur’an and Sheikh Nafigullah Ahsyrov delivered a speech, thanking the attendees. After the ceremony, Sheikh Asirov led the Friday congregational prayer. A Swiss laboratory has reportedly confirmed through radiocarbon dating that parchment pages from a Quran copy date back to no more than 20 years after the demise of the Holy Prophet (PBUH). 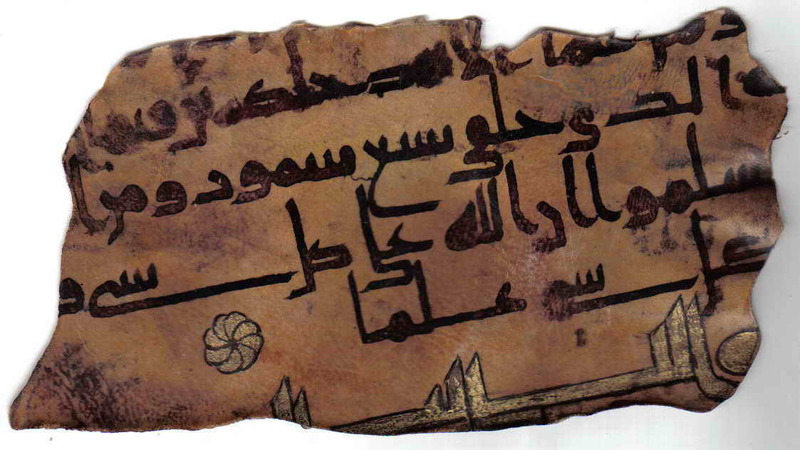 The fragmentary Quran is believed to be one of the oldest remaining in the world. The leaves belonged to a German scholar who lived in Cairo early in the 20th century. The main academic library in Berlin purchased the German’s papers after his death, Sputnik News reported. This entry was posted in Europe and tagged Berlin, Chechen Republic Mufti Salah Haci Meciev, Library, Oldest Pages of Quran, Quran, Red Juma Mosque, Red Mosque of Tomsk, Russia, Tomsk Governor Sergey Jvachkin, Tomsk region, Tomsk Regional Mufti. Bookmark the permalink.